Born in the cataclysmic cosmic catastrophe known as 'The Bigger Bang,' Cosmos traversed the barren egg-lands in-between universes, discovered the wisdom of space whales, defeated intergalactic evil, and found love! Now a new threat presents itself, one the hero has never known... worship! What can he give those who would call him God? 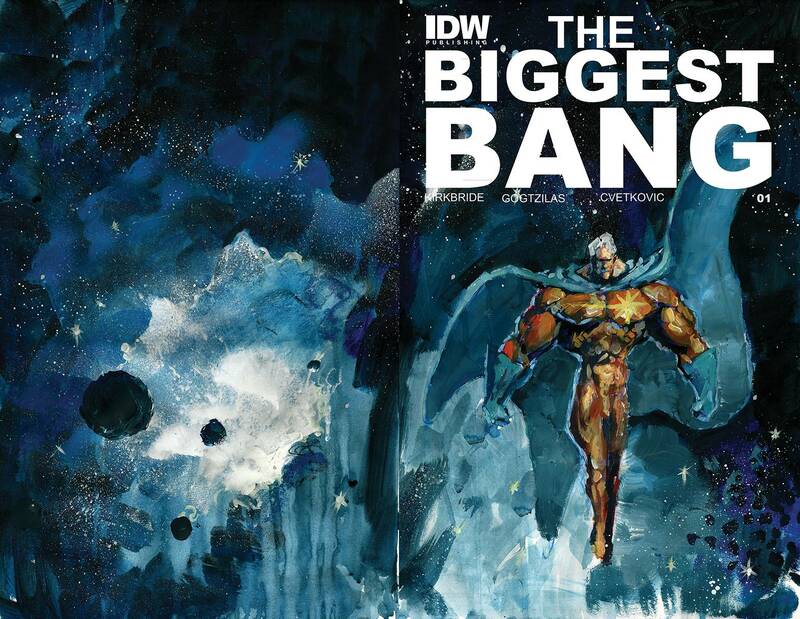 Intergalactic action and pataphysical philosophy return in THE BIGGEST BANG, the thrilling sequel to the mini-series Den of Geek called one of 'the best comics of 2015'!